Tal Raviv MD honored as one of the best cataract & refractive surgeons in the country. 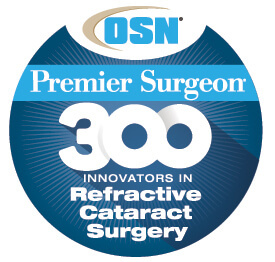 Dr. Raviv, MD, FACS has been recognized as one of Ocular Surgery News’s Premier Surgeon 300, 2016– an elite group of 300 premium refractive cataract surgeons in the U.S. He has been named a leading innovator who contributes to novel techniques, technologies, and teaching in the field of refractive cataract surgery. The Eye Center of New York is proud of his recognition as top cataract surgeon and leader in premium refractive cataract surgery.